BUTUAN City – Discouraging results anew in the performance of athletes and its officials for the 2016 Palaro held in Legazpi City in Albay from April 10-16, 2016, after the final medal standings showed that Caraga Region placed number 18 at the tail end among 18 regions competing for the annual school sports competition. 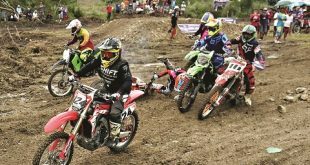 In regular sports as there are demo sports in the Palaro, Caraga Region got only, one gold, five silver medals and fifteen bronze in the over-all final medal standings. At demo sports like Billiards, Futsal, Sepak takraw (Girls), Wrestling and Wushu, Caraga Region got two silver medals and one bronze. 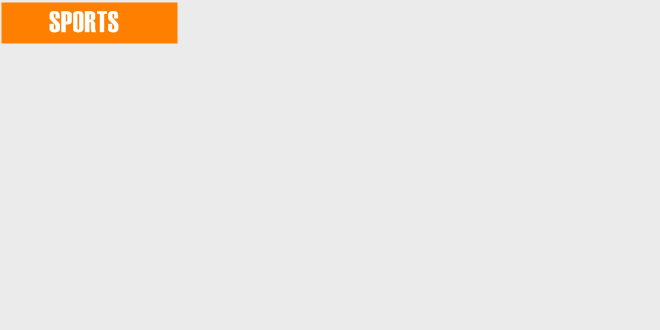 in third place with 35 golds, 35 silvers and 39 bronzes, a total of 109 medals. Bicol Regional Athletic Association (BRAA), the host region, currently ranked at the eleventh spot in overall medal tally with 41 medals 8 gold, 15 silvers and 18 bronze. The recently concluded Palarong Pambansa was the 59th edition of the annual multi-sporting event for Filipino student-athletes. Athletic associations from the country’s 18 regions battle it out in different sporting events and discipline. Of the 59th year Palaro was held, Caraga Region was never in the top ten neither in top 12 final medal standings in the annual sporting events. Negros Island Region which has its debut or first appearance as region in this year’s Palaro placed number 6 in medal standings instead, garnering 21 gold, 28 silver and 39 bronze a total of 88 medals. Region 10 or Northern Mindanao placed fifth over-all in Final Medal Standings. Included in the regular games of this year’s Palaro were, Archery Arnis, Aquatics, Athletics, Badminto, Basebal, Basketball, Boxing, Chess, Football, Gymnastics, Sepak takraw (Boys), Softball, Table tennis and Taekwondo. Earlier, some sports officials in Caraga Region blamed the local government units for the Caraga delegation in the Palaro but some local officials criticized concerned government agencies particularly the Dep-Ed of not focusing in the sports development program in the region. Some local officials of the Department of Education claimed lack of sponsors, poor financial support including lack of competitive and fighting spirit hounds Caraga athletes over the years thus resulting to poor preparations of athletes at the Palaro. 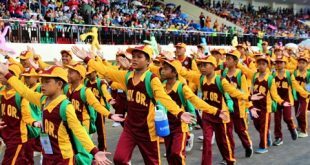 Critics claimed Caraga’s very poor performances in all 59 Palaro held in the country where it always placed at the tail end only showed mediocrity were institutionalized and not excellence.